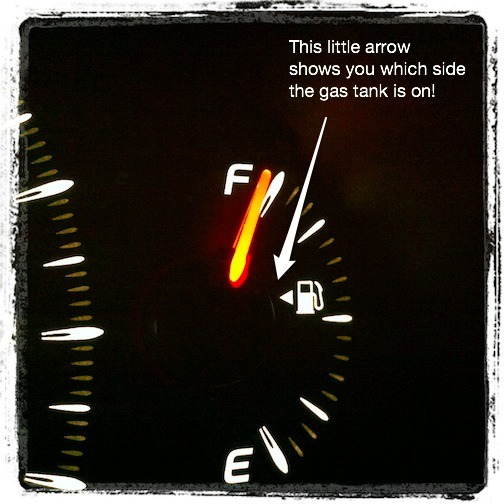 Have you ever pulled into a gas station in a rental car (or even your own car) and had to stick your head out of the window to check which side the gas tank is on??? Well, did you know there's a little arrow right on your dashboard that tells you? ps: thanks Angela for showing us this! Oh my goodness I didn't know that. Thanks! My mind is blown. Thanks Vanessa! Hm! I never noticed this! I will have to share this with my husband... he forgets EVERY single time!